Tuesday 31st July, Dublin: This week AMBER (Advanced Materials and Bio-Engineering Research Centre), the Science Foundation Ireland-funded National Materials Science Research Centre, based in Trinity College Dublin, will host leading international scientists at a one-day gathering focused on the wonder material graphene on Thursday 2nd August, in the Science Gallery. Graphene is both the thinnest and the strongest material known to science and its discovery has been crucial for our ability to (among other things) create extremely sensitive sensors for medical devices, build incredibly durable cycling helmets, make our touch phone screens more sensitive, and even grow healthy tissue for the heart. The graphene workshop’s focus will mark the 10th anniversary of the Liquid Phase Exfoliation (LPE) technique pioneered by Professors Jonathan Coleman and Valeria Nicolosi from AMBER. This revolutionary LPE technique essentially unlocked the material graphene for use for industry – previously it was not cost efficient for industry to produce large amounts of the material. 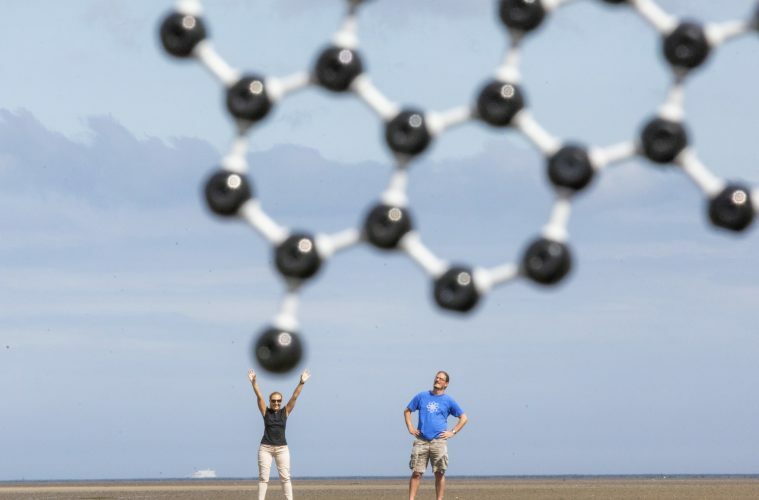 Graphene conducts electricity better than copper and so the mass production of this material has had massive implications for industry and further research of the material. It is forecast that an approximately $300M market, at the graphene supply level, will be formed within the next ten years*. This means that we will find graphene, of different types, in numerous volume applications in the years to come. The LPE technique pioneered by AMBER researchers is now the biggest global graphene production method worldwide.